I'd love to go there - I was reading about it only yesterday. You would love it, we first visited over 20 years ago when we lived in Staffs and were impressed then, it has grown tremendously, I shall be doing a blog when I have the energy!! that is a stunning pink. not wishy washy at all. What a shame - I wonder why it didn't like your garden? Yes and that was the only one I lost, they all came from the same supplier and were all planted the same day! How odd. I'm trying to remember how many years my two plants have been in...it's a long time. See who else is growing Aster novae-angliae. 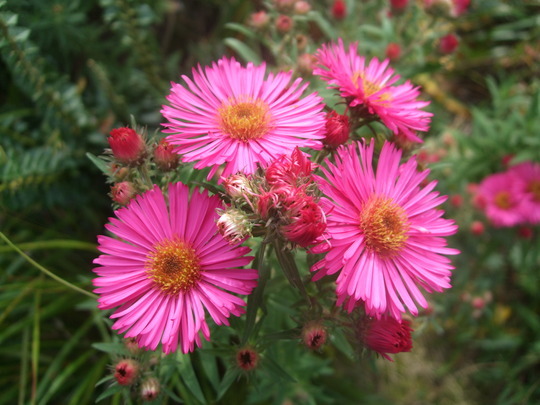 See who else has plants in genus Aster.